Join the Harman Kardon Photo Contest for this coming Father’s Day! The promo period starts today and ends on midnight of June 12, 2014. 1. Be Creative. Follow our Instagram and Facebook page and take a best photo with your dad. 2. Upload! Upload the photo on your Instagram account and link it to your Facebook page. 3. Tag and Mention us. 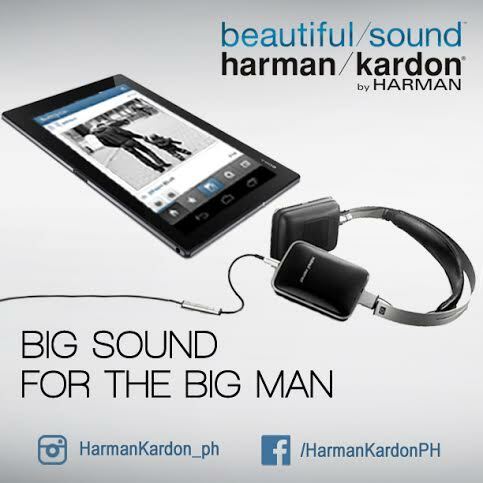 Put @harmankardon_ph use #harman_ph and #BigSoundForTheBigMan on your instagram post. 4. Share. Tag five or more friends. The winner will be announced the next day through our Instagram and Facebook page. Awarding will be on the 14th. The lucky winner will get a Harman Kardon CL Headphones for dad and an AKG K315.